Total Accounting Solution will bring total processes automation to your company data flows. Since the process of Quotation to your customers, control of Commissions for your Salespersons, Inventory Control, Kits Control, Shipments, Invoicing and General Ledger control. Integrate fax and e-mail communications to your computer system. TAS is a complete integrated accounting computer program that will combine all your Company data processing flow around the accounting. It will fit to a large variety of companies working in different fields as: distribution, wholesale, retail, exporter and manufacturers. TNS is loaded with all the features needed to take care of your accounting needs. It was designed to be used in a standalone PC or in a network environment. - A very easy, flexible and quick mechanisms to retrieve information you require. - The opportunity to classify customers under a large number of different characteristics. - Full integration with e-mail and fax, which means a reduced paper load. - Link among all different modules, no double entries is needed. - A powerful Inquire System to recover information no existing in the standard reports. - Any modification required can be done because we own the code. This module has a powerful aging reporting that will help you to reduce your receivables cycle. A flexible posting capability will permit you continue using your traditional processes. As an extra you will be able to apply monthly finance charges to all or selected customer if desired. The accounts payable are generated automatically from the Purchase Order received. You can introduce other service provider to your company (telephone, waste, electricity) and generate the vouchers to keep control of your debts. Printed checks are generated by the system but also checks manually generated can be posted in the system. This module gives you a total control starting since the Request for Quotation (RFQ), and then Vendors Quotation (made to satisfy your customers inquire) to the Cost Control, allowing you to establish the selling price according with the item acquisition price. The system allows you permit your customer online Internet access to prepare, check and update his RFQ. There is a total linkage among all the process involved: Purchase Order receiving, Accounts Payables and Inventory Control. All key information is immediately reflected when an order is prepared: Backorders, Credit Limit and Open balance for the customer. The module generate automatic commitments in Inventory. You can access all the part history ( Quotes, PO’s, Sales and Invoices). You can control commissions percent per sales persons. 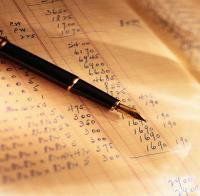 Invoices are generated from an existing and confirmed Sales Order. The system generate the Picking Ticket, Packing Slip to be used by your warehouse staff. The “On Hand” quantities are a automatically modified when an invoice is generated. In the same way the Account Receivables and General Ledger are modified. Permits the use of Cost Control methods (Average, LIFO, FIFO) according with your best practices. The selling prices can be defined in 6 different levels related to ranges of quantities. Also 6 different Cost Factor can be applied over the part cost. You can access to all Backorders pending for a particular item or part. If you need control of assemblies or subassemblies you can create Kits using your inventory parts. The operation with kits simplify the availability analysis and the control of your warehouse.